The Heumann side… – of worship, music, missions and technology, not necessarily in that order. of worship, music, missions and technology, not necessarily in that order. Why worship and why Ukraine? 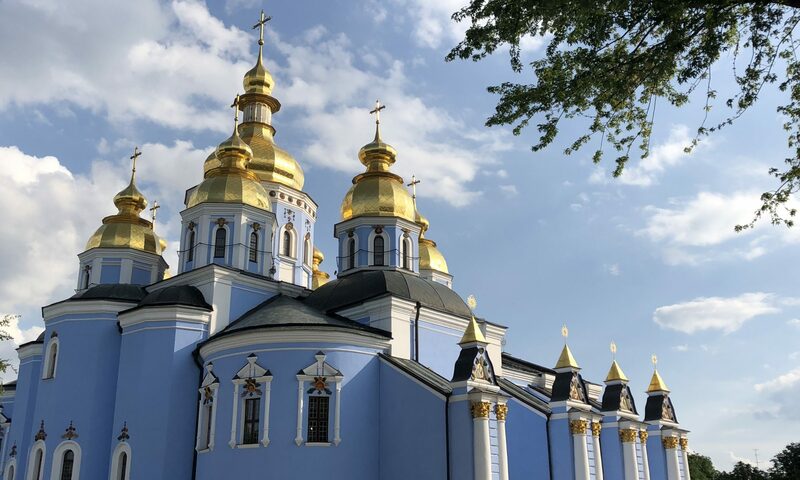 My wife Judie and I leave in two weeks for my eighth trip to Kiev, and Music in Worship, the conference we started in partnership with Ukrainian Evangelical Theological Seminary (UETS). Three years ago, it began as part of my Master’s project for my degree at Institute of Worship Studies, and it’s exciting to see it continue and develop. This year we are also partnering with leaders from here in Nashville and with London School of Theology, Nexus Institute of Creative Arts and Worship Academy, Horsham in the UK. I’ve been interviewed twice recently about the situation and the ministry opportunities in Ukraine–by UETS and for two programs for Compassion Radio. You’ll understand more of my heart and get you a sense of why this is a crucial ministry at this time. Consider being part of our support and prayer team at MusicWorks International. My heart for and involvement in Ukraine over the last years has been due to a number of things, chief among them sensing the call of God, but also through seeing the lives of believers as they have walked through incredibly difficult times for their nation. I first saw that call lived out before me in the lives of the staff of New Life Church, Kyiv (Anatoly, Nadia, Anton, Anya, Oleg and Oksana) and then in the lives of the leadership, staff and students of the Ukrainian Evangelical Theological Seminary (UETS)(Anatoliy, Ivan, Oles, Denis, Marina, other staff and my students). With all else going on in the world these days and in our nation, even the events of the last few years in Ukraine have somewhat faded from our ADHD culture. I would like you to take a few minutes and get to know the clear thinking, passion and integrity of these brothers and sisters in Christ through 2 short videos that line out the history of the “Revolution of Dignity” as the protests in Maidan are now known, and the on-going struggle against the Russian-backed separatists in the eastern regions of Ukraine as Crimea was annexed by Russia. UETS and its’ leadership have been honestly wrestling through these times with their hearts in God’s Word and their ears listening to his Spirit as to how they should respond in very difficult circumstances. They have put together these videos that tell the story of the real issues they have faced and how they continue to respond. The first video, “Maydan: Response“ (13:22) talks of how they responded as Christians to an unjust government, and the second,“War and Refugees“ (10:41) tells of how they have responded to those fleeing from attack in their own cities. “We just wanted to tell our friends and partners abroad about what we came through in 2013-2014, and are still going through now.” – Oles Dmytrenko, Communication and Development director. 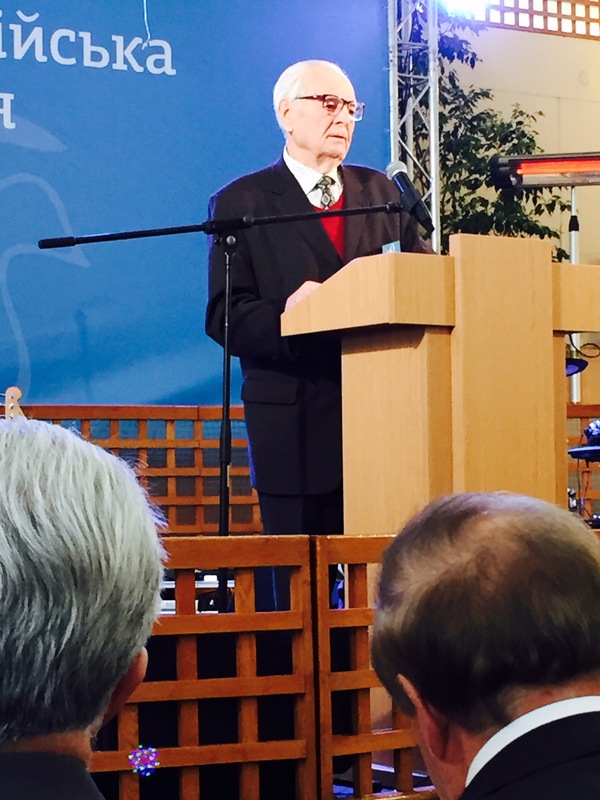 “Critical times for the nation challenged our theology and understanding of mission.” – Denis Kondyuk, Dean of Theology. Take less than 30 minutes of your TV binge-watching time, meet my colleagues and some of my students here and I think you’ll understand why I keep going back. I’m typing this at the gate at Detroit Metro Airport waiting for my flight to Amsterdam where I connect to Kiev. As of right now, the financial support we needed for the trip has come in and then some! Thank you, Lord for speaking to these friends and partners in ministry! The additional funds will be a start on the regular monthly support we will be working on when I return. I hope to be posting up here several times during the next two weeks. Pray for clarity of mind and heart for me, for good interpretation and an openness to the leading of the Holy Spirit. Got to board…here we go! Blessings to you all. 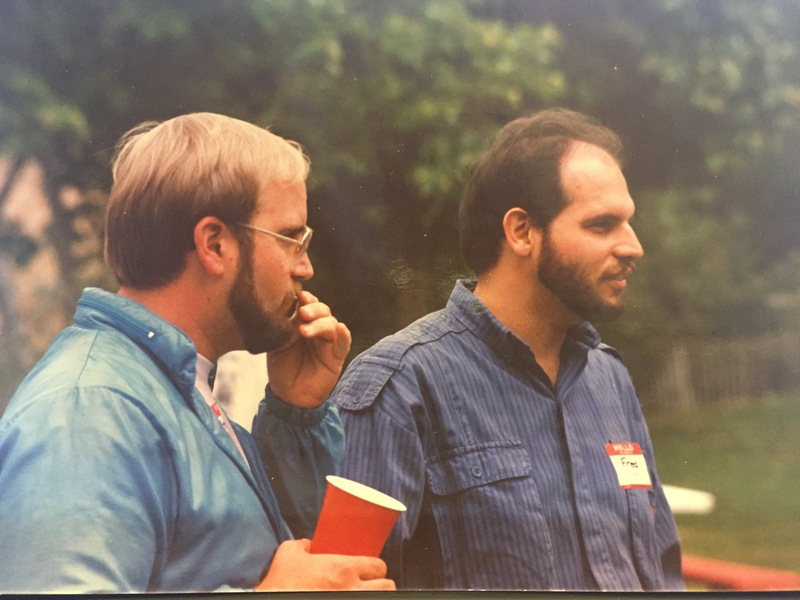 This past Wednesday, this world lost a humble, passionate, Kingdom-minded churchman and I lost someone who was probably the best “best friend” of my entire life, Steve Ogne. When I say lost, I mean it more in the sense of being “temporarily misplaced,” not “permanently irretrievable.” We know where he is, we just no longer have direct access to him. He has another occupation in God’s presence right now. At some point, we will join him. He did so much for the Kingdom of God in teaching, training, coaching and strategizing that I will probably have to wait in line to see him when I get there. For me, he was a faithful friend, wise counselor, long-time board member, encourager, coach, and confidant. 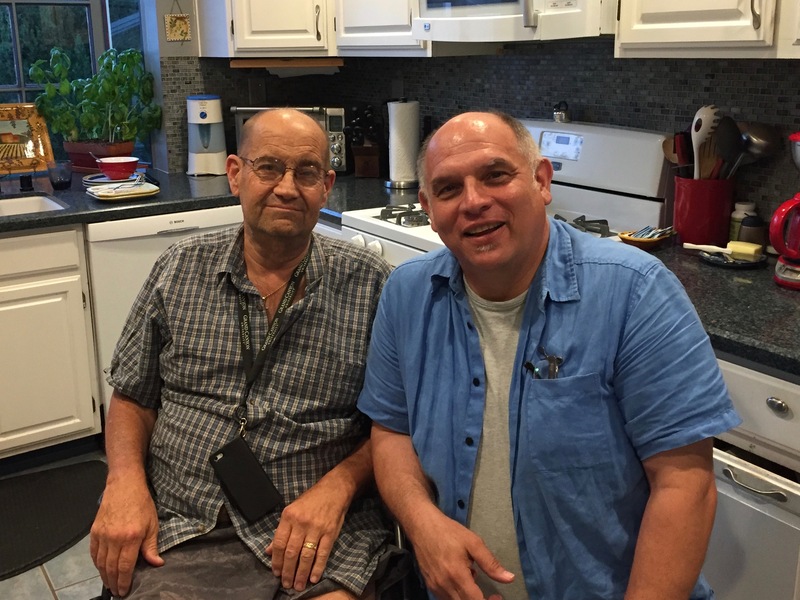 I have known Steve since the late 1970’s, when we were both connected to Calvary Community Church in Thousand Oaks/Westlake Village, CA. Steve was on staff, and I was a missionary supported by the church and very much a part of the music program. Actually, together we helped start the church’s first singles group, where he met his wife, Jane. 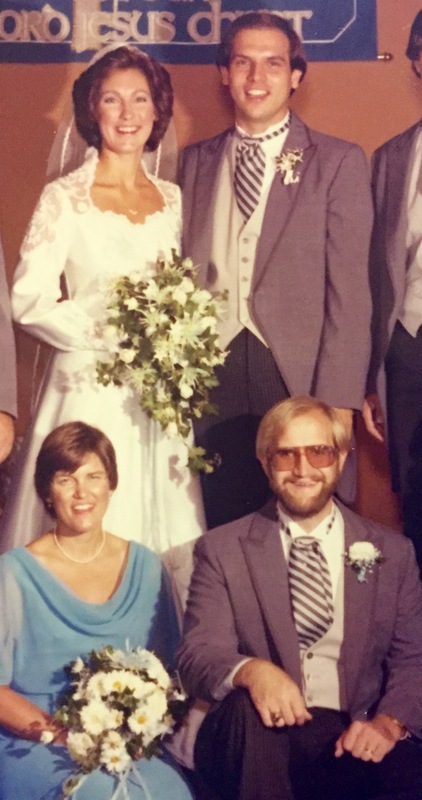 He was in our wedding in 1982, served as part of my ministry board for almost 9 years, he and Jane were a home for Judie and me in-between tours so many times, helped us move time and again, and he even spoke at my ordination. When I was in town, we would always try to go to the LA Auto Show every year–he was a true son of the LA area when it came to his cars! I would call him to work through things I was facing; he would share things in his life, but inevitably would wind up sharing something simply profound with me that would point me to God’s power and wisdom in facing the situation. He was so much more than just a friend. He would challenge and prod me. Years and distance did not dim the relationship–we could say anything to each other, knowing that we knew we would be understood and respected. I valued his input completely. Judie and I were itinerant for several years, later moved to the UK, and then to middle Tennessee while they stayed in Ventura County, California. I actually got to take Steve on his first overseas trip to the UK in the Spring of 1989, which opened up a whole new perspective for him. Later, he would teach and train church planters in Australia, Europe, and India (amongst other places), and thanked me for dragging him out of his homebody comfort zone. His ministry to church planters, church planting coaches and denominations are well-known to those he poured into over the years. Steve strongly believed that the best way to reach people for Christ was to plant new churches and then make disciples; he followed through with that as his life’s passion. Others will expound on that, I am sure. About 1996, Steve began to face many unusual and perplexing life-threatening illness in odd combinations. From then until now, he faced diabetes, flesh-eating bacteria, various leg bones being broken, staph infection, heart attack, triple-bypass surgery, cancer of the bladder/removal/reconstruction, kidney failure and last year, amputation of his left leg below the knee. I would joke with him and ask if there were any more major life-threatening diseases he had on his bucket list. It was a tough battle for him and for Jane and their sons–last year he spent quite a few months in the hospital and in rehabilitation. But he rarely complained; he just kept going in the new seasons that were presented to him. In more recent years, his youngest son Greg and our son Joel both wound up at Belmont University in Nashville at the same time (having been born the same year), which meant that at least a couple of times a year we could see him and Jane here in the area. One of my most memorable times with him was taking the opportunity to be with him for a whole afternoon while he had kidney dialysis here. They let me sit with him the entire time and we talked for hours about family, ministry, our lives and the state of the Church–and also laughed our heads off. Even having dialysis three times a week, he continued to coach and encourage leaders on the phone the rest of the time. Our time ended as it often did, with me helping fix something about his computer or other technology. I needed to go, but didn’t really want to, and I could sense that was the same for him–it was a very difficult goodbye. Steve died Wednesday, October 14, not too long after his 59th birthday, while back in the hospital waiting for the amputation of his remaining leg due to multiple issues. A celebration of his life will be held at Calvary Community this Friday, October 23 at 10:00 am. I can’t be there. I am heartbroken that I will be unable to make it. That same afternoon at 1:40pm Central time, while the service will be wrapping up, I am scheduled to board a plane to Kiev, Ukraine to teach foundations of worship at Ukrainian Evangelical Theological Seminary and be there for 12 days. It’s an amazing privilege that Steve knew about and saw as God’s special gift for me. I’ve tried for the last several days to change my flight and move things around, but that has proven impossible and impossibly costly. I hate not being there for Jane, Tim, Jeff, and Greg. I hate not being there for me. However, all I can hear is Steve’s insistence ringing in my ear, “This is your calling; do what you need to do. Don’t put it off any longer.” I guess I will have to do just that to honor my friend, Steve Ogne. Thanks, Steve. See you soon. You are a true friend. Well done. Invest in “worship old & new” in Ukraine. I need your help! Can you take a few moments to consider investing in this? I leave on October 23. 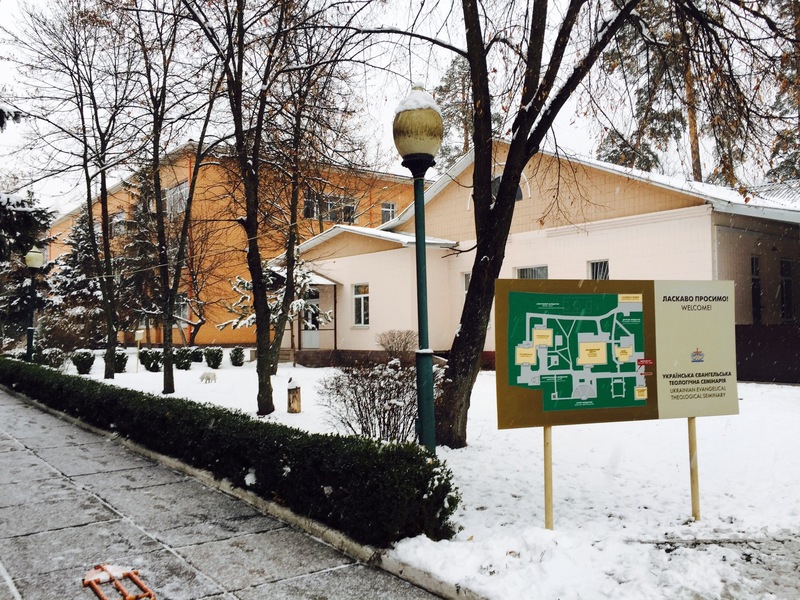 We worked alongside the Ukrainian Evangelical Theological Seminary (UETS), founded that same year by my friend Anatole Glukhovskyy. The seminary offers both undergraduate and graduate courses in ministry and has a unique trans-denominational perspective. That fresh sense of calling was delayed a bit by the opportunity to complete a Masters’ degree at the Robert E. Webber Institute for Worship Studies (IWS). However, by God’s grace and provision, the past two years have refueled and retooled me to better come alongside and help as I have completed that degree. In less than 14 days, I will board a plane to go back to Kiev for the third time in less than a year. Mission Ukraine pulled together hundreds of evangelical church leaders from across the nation (including the annexed region of Crimea and the eastern parts of the nation still under attack by separatists) as they discussed the priority of united evangelism even in these very difficult times. I was honored to be invited to attend as a delegate and someone involved in ministry in Ukraine. They invited me to speak briefly and sing at the event myself, and had me lead the small group sessions involving music and the arts in ministry. By God’s grace, I was able to bring a team to do a worship seminar in March as part of my thesis project for my Master’s degree. John Conner (gifted saxophonist, engineer/producer from Nashville), Rev. Dr. Greg Wilde (professor from IWS) and his wife Jan, as well as Michael and Dawn Marie Helin (former Wings of Light team members and long-time media and music missionaries in Europe) were the highly qualified team that accompanied me. The UETS staff did a marvelous job of organization. We joined with gifted Ukrainian leaders, speakers and worship teams to work with a tremendous group of church leaders and volunteers from all across Ukraine for three days of encouragement and training. We had twice the number of people expected. There are too many stories to tell here, but you can see a gallery of pictures from the event as well as video of my and Greg’s plenary talks. It was a powerful time. As a response to what God did in our midst, Ivan Rusyn, the Rector of UETS and Marina Yarmolenko, the Dean of the Music Ministry and Theology department and her staff have asked that I would lecture and bring seminars to UETS twice a year. 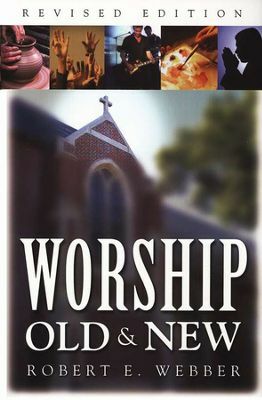 In our planning and discussion, we discovered that Robert Webber’s book, WORSHIP OLD & NEW, is available in Russian! That will be our main textbook and framework for the class. I will have the music/theology students 15 times in 5 days–pretty intense! We will look closely at how the Biblical principles and practices that informed the worship of the early church should inform our worship today. The class will finish with a similar week early in 2016. The economic situation in Ukraine doesn’t allow them to do much to help financially. On our March trip, the team was able to raise extra money to replace an aging computer for the Music/Theology department and bless them, as well as help with some of the cost of the seminar. My Ukrainian colleagues are investing all they can to make this work; this is a partnership, not a one-sided American presentation. It is an ongoing dialogue to see how their students and their teachers can be better equipped in the area of worship renewal, and then how together we can help the churches and pastors they work with across Ukraine and Eurasia. On this trip, we will also be discussing our plans for the seminar and classes to come in the spring. I will have meetings with other churches and individuals regarding future ministry. We are also talking with the leadership of IWS about all three ministries (MusicWorks International, UETS and IWS) working together to teach and train leaders and local pastors in worship renewal. More important than just finance, we need a support team of devoted intercessors who will stand with us. Are you willing to pray for the guidance and the freedom of the Holy Spirit during my time there? Let me know in the comments section below or drop me a note at this email. I need to raise money right away to cover both the trip expenses which have been advanced to me and for the costs of my work in preparation. and when I get back, establishing a substantial base of monthly support. The initial expenses are most urgent and crucial–it will be important to have them in hand before I fly on the 23rd. The flight cost has been advanced to me, and I need to raise that and cover other expenses for the trip as I prepare to go. for a total of $3500. Click here to make a secure donation for your initial gift or for on-going monthly support. You can give via credit/debit card, check (payable to MusicWorks International) or by automatic bank draft by using the link just above. Donations are tax-deductible and are figured in US dollars. Again, leave a comment below or email me if you want to be part of our intercessory team, and I will add you to our list to receive reports and prayer requests. If you can’t give financially right now–I certainly understand that. God is in control; He has given the calling, and I believe He will provide as we look for the partners He has chosen in this season. I’m grateful that you are prayerfully considering this as we look to walk into a new season of ministry. Already several friends have indicated they want to be part of this trip by investing…I am thankful for the encouragement! I need your “experienced” prayer support and investment now. This is a unique opportunity in a very strategic nation at a very crucial time. Will you help us continue to walk through these doors? I want to combine worship old and new in bringing solid theology and practice alongside current skills and cultural awareness that will bring great glory to the living God. It is a start to a new season. That’s the story, the need and how you can help now. I pray you will! History, nostalgia and praise! A few thoughts on CCM United. I’m basking in the glow of what several hundred of us experienced in person last night, joined by many thousands who saw the live stream of “CCM United – We Will Stand” here in Williamson County, Tennessee. 33 artists, 40 songs–some old, some new, most in the middle of the heyday of Contemporary Christian music. Joy, tears, thanksgiving – it had all that and more. [For a full list of who was there, and the opportunity to see the entire three hours, go to ccmunited.com.] Many thoughts are running through my mind this morning as I’ve been reading posts and posting videos myself. They are a bit random, but I’ll share them. Having been in and around Christian music and the “industry” since I was 16 (that’s 42 years ago, if you’re counting), and being part of events like the Christian Artists’ Seminar (Estes Park) and Gospel Music Week (GMA)–I know all the different issues that are part of putting this kind of event together. Schedules, relationships (past and current), sponsorship, past hurts, logistics, egos, spiritual attack, personal interests and yes, industry p olitics all come to bear on this stuff. In our brokenness and by God’s grace, we move ahead. Thanks to Stan Moser and his dogged persistence in being point person and midwife in bringing this to birth, and to the whole team. A special shout-out to my friend, almost-team-member, and past board member Neal Joseph. It really was like watching your life story tonight (obviously others as well), but seeing The Imperials, Sandi Patty, Dallas Holm, Michael English, First Call and Wayne Watson on the same stage tonight put it all in perspective. Your love, care, talent and persistence in supporting, signing, arranging or producing these artists (and many others) has borne phenomenal fruit. Thanks. 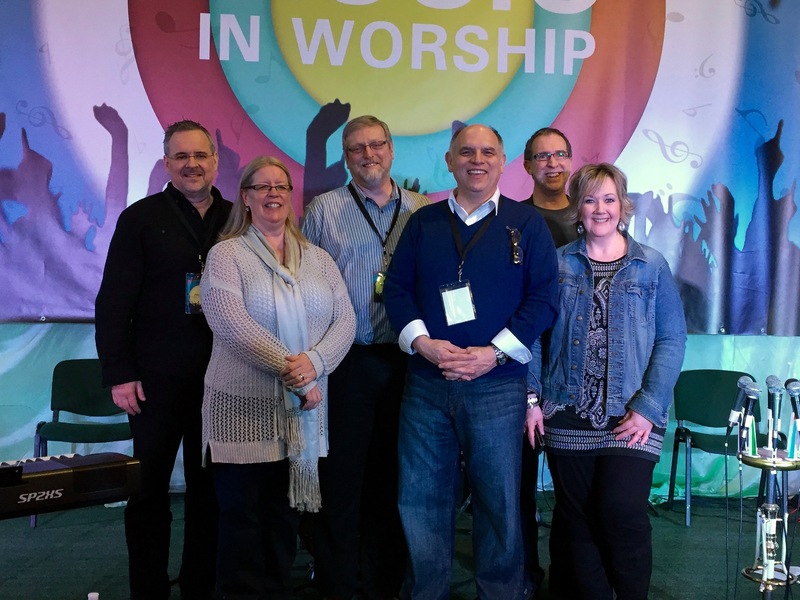 Great to see other artists who have been part of CCM history happy to be there, even though they were not up front–thinking of my friends Byron Spradlin (early artist on Light Records), Paul Johnson (arranger and writer extraordinaire) and Steve Fry (worship writer, artist and pastor). Some thoughts about history and perspective on these past 40+ years. Any time you talk about history, folks will have a different perspective based on their experience. We need to fight to get context as we read or recall anything from the past. Even historians have a perspective, and that’s what makes it interesting and more fully-orbed. Think of it like different camera angles on the same scene in a movie…one shot is not better than another, but the different angles help to give a more 3D version of what happened. You have to pick and choose the shots, and in any movie or documentary, some things get left on the cutting room floor–you can’t include them all in order to tell the story. We had a great story told last night–nothing can take away from that, and it was most certainly true. I wept and cheered with the rest, and memories of past ministry that I received and also gave filled my heart. Praise God for that! When it comes to Contemporary Christian music, these artists and songs are key to the core of it. However, I walked away wanting to also acknowledge and challenge us all to remember some of the other pioneers and get to know their work and the investments they made to establish and confirm what we enjoyed last night. There was absolutely no way to include all the artists who have contributed, and many were highlighted and named in the projections on stage. Even that couldn’t mention all. Let me mention and honor a few and give you a resource that will help you with more perspectives, more camera angles. First, 40 years is not the full history of CCM. It did not start in 1975–the celebration was of 40 years of CCM, not of all of it! Love Song, who were honored and performed along with Phil Keaggy (who actually was part of the group at one point) started before 1975. The Jesus Movement was a significant revival that started in the last 1960’s, and was the catalyst for many to come to Christ, as well as being a seminal source for what has become modern worship with Maranatha! Music as well as CCM. Love Song and many others pioneers were part of a Jesus Music documentary done around 1999 called “First Love.” Check it out at explorationfilms.com–a 2 CD and 2 DVD set that shares testimonies and stories of that significant move of God. It features Love Song, 2nd Chapter of Acts, Barry McGuire, Andraé Crouch, Randy Stonehill, Jamie Owens Collins, Honeytree, Paul Clark, John Fischer, Terry Clark, Matthew Ward, Annie Herring, Darrell Mansfield, Chuck Girard, Randy Matthews and a Keith Green tribute with Melody Green. If you don’t know this history, you need to. And, from my perspective, there were others who paved the way both in making the church ready to receive music more closely allied to the culture in my lifetime. I first think of Ralph Carmichael and Jimmy and Carol Owens, who were pushing against the barriers in the late 1950’s and early 1960’s. Light Records was the home for so many of the artists who were pioneers in CCM, and Ralph’s musicianship and commitment to excellence in ministry that both reached the culture and served the church laid a solid foundation for those who would follow. And he’s still at it in his 80’s–check out the Ralph Carmichael Big Band! Jimmy and Carol Owens–significant early mentors and encouragers of artists and musicians like Andraé Crouch (Jimmy produced his first album) as well as Paul Johnson (who was at last night’s event) and Michael Omartian (who was the musical director)–created projects like “Come Together” which basically took a contemporary worship service and put it on record, and “If My People” and “The Witness” which called the church to intercession, and told the story of Jesus in compelling, powerful ways. Artists like Andraé, 2nd Chapter (Matthew Ward, Nelly Griesen and Annie and Buck Herring), and Barry McGuire made their house a second home where they laughed, played and prayed. (Not to mention their daughter Jamie Owens Collins, who made it her first home!) They are also still at it, encouraging artists and songwriters (songs like “Holy, Holy” and “Freely, Freely” are theirs), and calling the church to intercession for the nation. I was glad to see that Thurlow Spurr was in attendance last night, and Stan rightly acknowledged him for his contributions. So many folks that we know as arrangers, writers, and artists in CCM cut their teeth on the road traveling with The Spurrlows, Festival of Praise or other groups he started–Larnelle Harris, Sharalee, Dave Williamson, Terry Winch, Jon Mohr to name only a very few. But another who travelled with Thurlow pioneered a ministry that would eventually see 40,000 plus travel in music ministry around the world, Cam Floria, founder of Continental Singers (The Continentals, Continental Ministries) and Christian Artists. Artists who were on the platform last night like Wayne Watson got their start in Continentals, while at least several dozen others in the room traveled as part of Continental tours (including me and my wife Judie). Michael W. Smith came as a young artist to the Christian Artists’ seminar and got early encouragement there. Thousands of church worship leaders also cut their teeth with Continentals and were shaped by their international and inter-denominational touring. This is only the tip of the iceberg, only a few of the additional camera angles that will add perspective to what we saw last night. Stan Moser’s book “We Will Stand” adds a few more. Dig deeper and you’ll see even more to give thanks to God for. Finally, I’ll share my two most enduring images of last night, separate from what was onstage. Both spoke of humility and joy in the journey. First, as I was chatting with Travis Cottrell about the evening, a gentleman stopped as he was walking out and said how much he had appreciated Travis’ contribution to the evening and the ministry of it. I looked twice, and it was Steve Archer, lead singer of the family group he had with his brother and sister “The Archers.” He was the Russ Taff of his day, and could probably still match him note-for-note. Yet, he was not onstage–Russ (and Travis) were. The humility of his sincere congratulations that I got to observe spoke volumes. Second, it was only about halfway through the event that I realized in the back row of the string section, happy and joyfully playing his cello, was Greg Nelson. Producer of Steve Green, Sandi Patty and countless others and co-writer of “People Need the Lord,” Greg was in the back row making what others might see as an insignificant contribution to a significant night. But not to my friend Greg…he was happy just to be a part. May it be so for all of us as we go and grow in our ministry of music and worship. 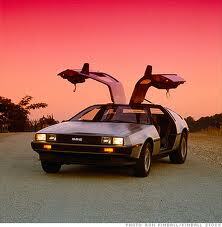 …and we’re headed back to the future! All glory to God as we’ve seen all the one-time expenses we needed for the trip to Ukraine raised! Over $3500 has come in, and then some. I’ve been humbled by the response from those who have given and who will be praying. It has added a new dimension to Thanksgiving Day around here! The excess will go toward other related expenses and be a base for the regular monthly support I’ll be raising after I return in the new year. With only 19 hours until my flight, there’s plenty to do. To keep up with some updates during the next two weeks, either subscribe to my blog here, or respond to the invite on my Facebook event page. Pray that we’ll be sensitive to the Holy Spirit, the staff, the students and all that God wants to do in us and through us. Your intercession is crucial! Thanks. Hear “I Love You, Lord” in Ukrainian from the projects we recorded 20 years ago! Back to the future in missions–time to invest! 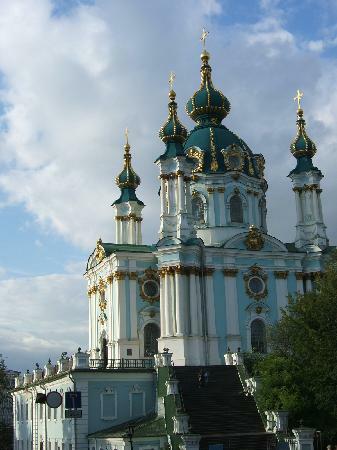 This photo of Kiev is courtesy of TripAdvisor-St. Andrew’s Church. I’ve been really fortunate to be have been on the edge of some world events in my life. In 1975, when I was 19, I was part of one of the first US music ministry groups to minister behind the “Iron Curtain” in Poland. In 1978, I led a similar group to minister in Leningrad, USSR (now St. Petersburg, Russia) when that just wasn’t possible legally. In 1981, Judie and I met on the first team to sing in then-barely-open-to-any-outside-influence People’s Republic of China, where our team was able to sing in major venues in major cities and on national television. In 1989, shortly after moving to the United Kingdom as missionaries, we were glued to our TV as we watched the Berlin Wall disintegrate and totalitarian regimes in Eastern Europe and Central Asia crumble from a closer vantage point. 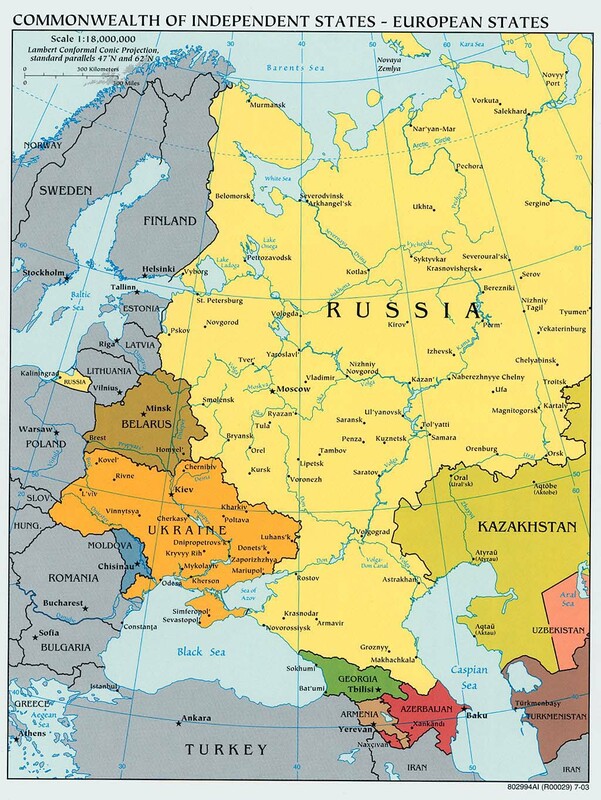 Then in 1992, I was honored to go to three of those nations–Estonia, Latvia and Ukraine–to work with national singers to produce 5 worship albums in their national tongues! Those tapes were used to encourage and support hundreds of groups of new Christian believers who were being discipled in these newly-freed nations. Over that time and since, I’ve also been part of, helped create, or led cross-cultural ministry training and mission events in Amsterdam, Hong Kong, Washington, Manila, Nairobi, London, Seoul, Argentina, Peru, Ecuador, Guatemala…and Nashville. Now, after years of being back in the US–things seem to have come full-circle! We’ve been raising our son here in Middle Tennessee, doing worship ministry in the church, worship training in Latin America, developing digital and print worship resources both full-time and free-lance, doing tech consulting as well as teaching at conferences and churches. But now, strategic opportunities for working with worship leaders and musicians both inside and outside the US keep coming up out of the blue, without me going after them! We believe the Lord’s calling us to re-launch the missionary ministry part of who I am. He’s been speaking to me about things that I’m uniquely qualified to do at this stage in life. It all happens very soon. I leave the day after Thanksgiving, this November 23 and will be gone until December 13! I’d like you to prayerfully consider partnering with me in finance and prayer to make that possible, and to build a fresh foundation for future ministry both here and overseas. I need your help. In Kiev, I will be teaching and leading as part of a 3-member team led by long-time friend and colleague, Byron Spradlin, and including Jason French from Bethlehem Baptist Church in Minneapolis. 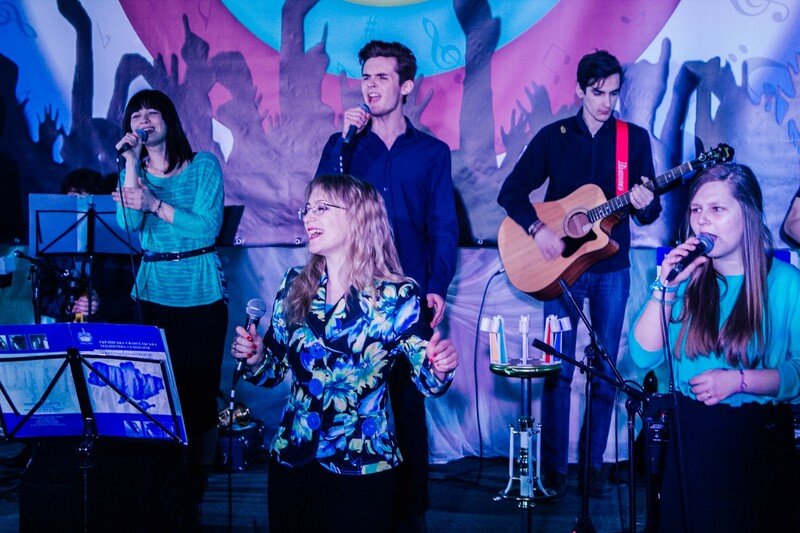 We spend the first week with the 350 students of the Ukraine Evangelical Theological Seminary (founded 1992, the year I was last there) teaching on music, worship and the arts. Nearly 100 delegates from the Eurasia region–the 12 nations that were part of the former Soviet Union–will join us to meet and strategize action on how the arts can and should be used in touching this region for Christ. Hard to believe this has all come in my lifetime! 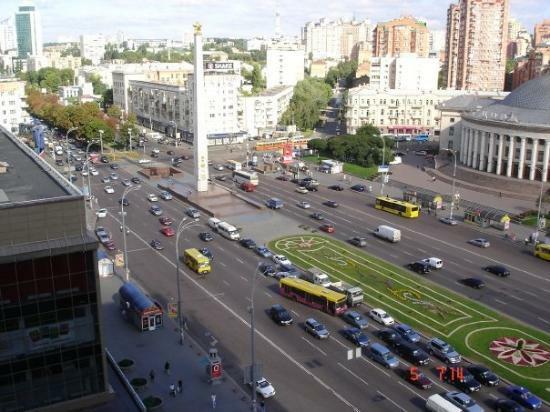 This photo of Kiev is courtesy of TripAdvisor-Peremohy Plaza. I need to raise money immediately for both the trip expenses which have been advanced to me at this point and for my work in preparation. I also need to raise monthly support for ongoing work because there are future opportunities already being talked about for Ghana, Japan, India and Romania as well as with ministries here in North America. The initial expenses are the most urgent and crucial–it will be important to have them in hand before I fly on the 23rd. The flight cost has been advanced to me, and I need to raise that as well as cover other expenses for the trip as I prepare to go. Raising $3500 in two weeks, really? It is doable—if all the friends and partners seeing this gave just $5-10, the need would be more than met. Actually, I’m praying for 1 person @ $500 • 1 person @ $250 • 11 people @ $100, 21 people @ $50 and 24 people @ $25 for a total of $3500. Of course, you can give more or less than this, but this will meet the need. Make a secure donation here for both your initial gift or for on-going monthly support. You can give via credit/debit card, check or by automatic bank draft. Donations are tax-deductible and are figured in US dollars. As for monthly donors, right now we need: 2 at $250/mo., 5 at $100/mo., 20 at $50/mo., and 40 @$25/mo. for a total of $3000 a month. I also need to revitalize a support base of intercessors who will stand with us. Many of you will be aware of the evangelistic work we did with our team, WINGS OF LIGHT, as well as our role at Youth for Christ in Britain establishing a similar band–TVB–that discipled young musicians, led students to Christ, and modeled leading worship. Some of you traveled with us with WINGS, Continentals, or TVB, or went on teams with us to Latin America. We may have worked alongside you in California, YFCI, or in the UK. Some of you know us from our time and ministry here in Tennessee since 1993, or have met me at a conference or online. We need your “experienced” prayer support and investment now. Maybe you can’t give financially right now–it has been a tough time for many of us in these days. More important than just the finance, we need a revitalized team of prayer supporters and intercessors who will stand with us. Please leave a comment below if you want to be part of our intercessory team, and I will add you to our list to receive reports and prayer requests. God gave me a special encouragement just two days ago! I wanted to see some examples of current Ukrainian evangelical churches in worship. I found some videos of worship from New Life Church, Kiev from a service just 2 weeks ago. There were translations of some of the currently used worship songs around the world, some I did not know, and then…I heard it. Прославление 21 октября (Worship 21 October) from New Life on Vimeo. We need your prayers and your investment. Together, we can help an army of the most effective communicators out there–musicians and artists–have a powerful impact across Eurasia. You can find more information on our ministry and make your donation here. We are trusting in the Lord, our “hiding place.” Thanks so much! PS: On the way back, I’m stopping in the UK 6-13 December for an additional week to consult with friends and mentors to talk about this new season. Please pray for that too! How do you think music can be used effectively in these Eurasian countries? Have you been to Ukraine? Will you invest or take time to pray for us? Leave your comments below! Trip to Kyiv for 5th annual Music in Worship! This ministry depends on your prayer and financial support. You can partner with us here! Thanks for prayerfully standing with us.